In a decision that sounds a warning bell for public defense systems throughout the country, the Delaware Supreme Court has held that “[t]he Sixth Amendment requires more than the physical presence of counsel the first day of trial in a serious felony case with the possibility of a lengthy minimum mandatory incarceration.” Public defense systems often provide assembly line representation (often called “horizontal representation” under national standards) in response to excessive caseloads. Delaware’s Urquhart decision details how assembly line pretrial public defense representation results in the denial of the right to counsel. On January 24, 2019, the Delaware Supreme Court decided, in Urquhart v. Delaware, that “the Sixth Amendment demands more than the presence the morning of trial of a warm body with a law degree.” Between his July 2014 arrest and his February 2015 trial, various public defender office attorneys made cursory appearances in pretrial court proceedings on behalf of the defendant who was charged with armed robbery. During the “nearly four months between arraignment and trial” though, the attorney actually appointed to represent the defendant never met with him. It was not until the morning of trial that the appointed public defender sat down with the defendant to show him crucial evidence the prosecution intended to present and to discuss the state’s plea offer to a five-year prison sentence. 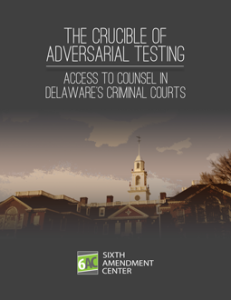 The complete absence of representation by trial counsel during the critical stage between arraignment and trial denied this defendant his Sixth Amendment right to counsel under both the Cronic and Strickland standards for effective assistance of counsel, according to the Delaware Supreme Court. Delaware’s Urquhart decision sounds a warning bell for public defense systems throughout the country. Assembly line representation, often caused by excessive caseloads, frequently prevents otherwise able attorneys from providing effective assistance of counsel as required by the Sixth Amendment. Because trial counsel was not available, three different attorneys from the public defender office each appeared at various times for court settings in Urquhart’s case. This type of assembly line representation – where a public defender office attorney handles one part of a case and then passes the client on to another public defender for the next part of the case – is exactly what the 6AC found in its 2014 evaluation of the right to counsel in Delaware as reported in The Crucible of Adversarial Testing: Access to Justice in Delaware’s Criminal Courts. (See report pages 103-130 for a detailed explanation of the Delaware state public defender’s representation practices in 2014, often referred to in national standards as “horizontal representation.”) At the time of our study, Delaware’s felony public defenders carried an average caseload of 252.7 felony cases per year – each attorney handled more cases than 1.5 attorneys could be expected to handle effectively under national standards. As in the Urquhart case, in the face of excessive caseloads, the Delaware public defender office resorted to assembly line representation for all of its felony clients statewide. On the morning of Urquhart’s trial in February 2015, his trial lawyer met with him to show him for the first time the state’s key evidence against him and told him of the prosecution’s offer to a plea carrying a five-year prison sentence. The defendant told the trial court “that he [was] confused and need[ed] help” in understanding the new evidence and the plea offer. The Delaware Supreme Court found that “Urquhart’s repeated requests for help were effectively pushed aside by his trial counsel and the court.” The defendant was convicted at trial and sentenced to fifteen years in prison. 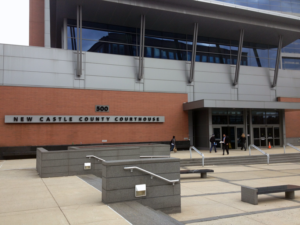 On postconviction, the Delaware Supreme Court held that Urquhart was denied the right to effective assistance of counsel as guaranteed by the Sixth Amendment. The court looked to the “two seminal Sixth Amendment cases” decided by the United States Supreme Court: United States v. Cronic and Strickland v. Washington. Under Cronic, a defendant’s right to counsel is violated in three situations: (1) if he was completely denied counsel at a critical stage of the proceedings; (2) if “counsel entirely fails to subject the prosecution’s case to meaningful adversarial testing”; or (3) if “counsel is called upon to render assistance under circumstances where competent counsel very likely could not.” Under Strickland, a defendant is shown to receive ineffective assistance of counsel when he proves both that the representation he received from his attorney “fell below an objective standard of reasonableness” and that “there is a reasonable probability that, but for counsel’s unprofessional errors, the result of the proceeding would have been different.” The Delaware court held that Urquhart’s right to counsel was violated under both the Cronic and the Strickland standards. As the Delaware court noted, in Powell v. Alabama the United States Supreme Court has “emphasized that ‘the most critical period of the proceedings’ is ‘the time of their arraignment until the beginning of their trial, when consultation, thorough-going investigation and preparation [are] vitally important.’” During this critical stage of his case, the Delaware Supreme Court found that Urquhart was completely denied representation. A complete denial of counsel occurs ‘when a criminal defendant must navigate a critical stage of the proceedings against him without the aid of “an attorney dedicated to the protection of his client’s rights under our adversarial system of justice.”’ . . . Although different counsel represented Urquhart at court appearances before trial, for the nearly four months between arraignment and trial, Urquhart received what appears to be one non-substantive phone call and one transmittal letter from trial counsel. . . . The grim reality is, in the critical pretrial phase when trial counsel must meet with his client to review the evidence, develop strategy, and prepare for trial, that did not occur. As the Delaware Supreme Court concluded: “[t]he Sixth Amendment requires more than the physical presence of counsel the first day of trial in a serious felony case with the possibility of a lengthy minimum mandatory incarceration.” Assembly line representation cannot substitute for the “guiding hand” of counsel at all critical stages of a case to enable a defendant to make informed decisions in the proceedings against him.